Ageism is rampant in our economy. Older employees are often laid off, discharged, and overlooked for promotions or new jobs. Hiring managers will often say an older candidate is “not a good ‘culture fit’” or “over experienced.” But what they really mean is, this candidate is too old and we don’t want to risk hiring someone who might retire, ask for too much money, or get sick to go on disability. How can you conceal your age in this economy? First, try to omit dates. When listing your education, do not include a graduating year. I have seen recruiters completely pass over a candidate who graduated college in the 1970s. Another good tip is to exclude some of your older jobs from your early twenties, especially if they are not related to your current career. College jobs, early jobs, and brief jobs from your past can all age your resume. Second, create an eye-catching “pitch.” At the top of your resume, you may include a line such as the following, “Marketing Professional with over 30 years of experience.” While it is impressive that you have so many years of experience, you may bring that number down to 20, and it will be just as effective. Also, include some of your biggest achievements and awards in that first line to really catch the attention of hiring managers. Show that your “seasoned experience” is beneficial because you have had a proven record. Compared to those young professionals in their 30s who think they know what they are doing, you know what you are doing. Do not be afraid to show that. However, keep it at a delicate balance so that you do not seem too seasoned. Third, update your look. An old, outdated look can add years to an individual’s actual age. Getting a contemporary haircut, gently dyeing those gray hairs, wearing a little bit of tasteful makeup, whitening your teeth, losing weight, and updating your wardrobe with a clean new suit can make you look 10-15 years younger! Men who are balding should keep their hair shorter or even consider shaving their heads bald. According to Alfred Mannes, a researcher at the University of Pennsylvania, bald men appear more dominant and bold in the workplace. Women, too, can create younger hairstyles by adding layers and bangs to conceal wrinkles or adding hair extensions and gentle highlights for a more youthful glow. Fourth, it is always beneficial to stay up to date on cultural events. A well-rounded individual who stays up to date on business as well as media trends always appears more youthful and sociable. Job candidates can easily achieve this by reading headlines, watching the news, flipping through popular magazines such as Time, Business Weekly, Fortune, Entrepreneur, and newspapers such as The New York Times and The Wall Street Journal, to name a few. Lastly, I admit I am not very old and still have much to learn. I have learned a tremendous amount from my older colleagues and continue to learn from them daily. 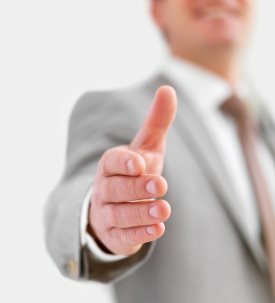 It pains me to see so many older people get laid off and attend interview after interview without much luck.While this guide is intended to help conceal an individual’s age, it is far from an exhaustive list of techniques. I invite you to read my other articles on job hunting tips and I wish you all the best of luck in your job search.